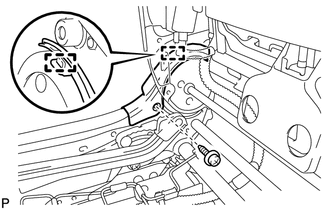 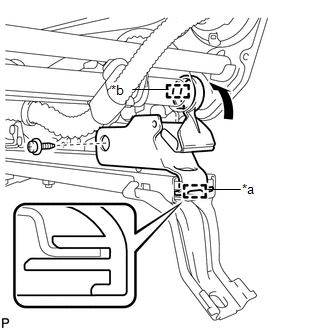 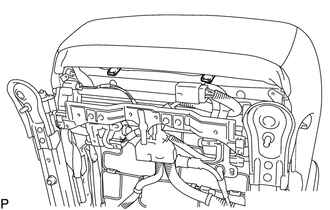 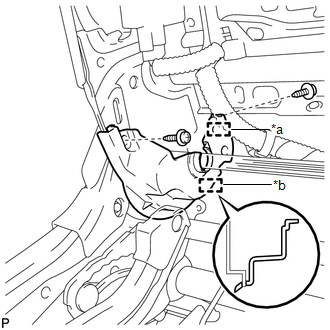 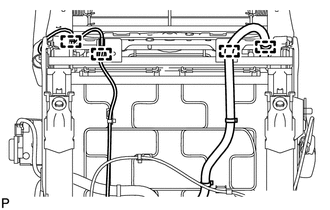 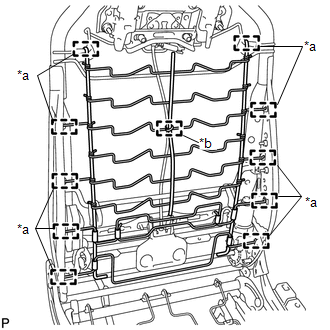 (a) Engage each clamp and install the front seat wire RH. 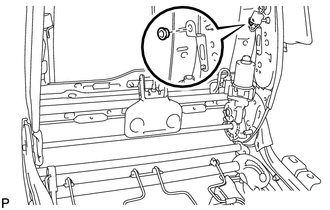 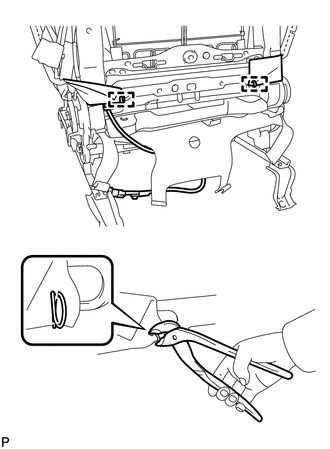 (a) Engage the clamp to install the seat heater control sub-assembly. 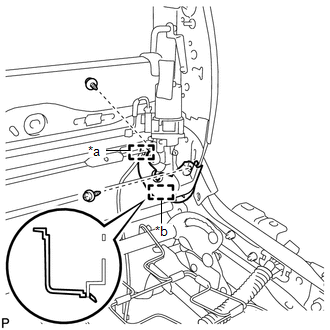 (a) Engage the 5 clamps. 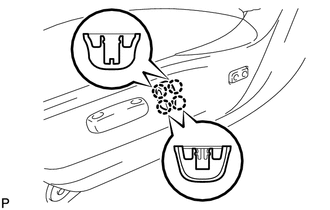 (c) Connect the 3 connectors. 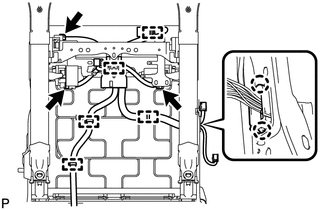 (1) Connect the 3 connectors. 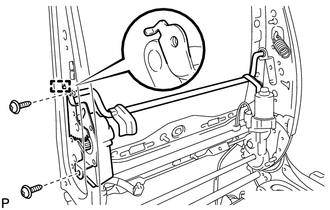 (2) Engage the 3 clamps. 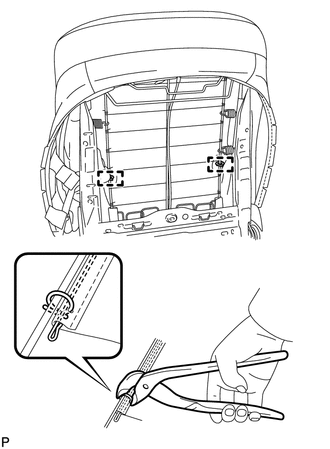 (f) Engage the 2 clamps and install the front seat wire. 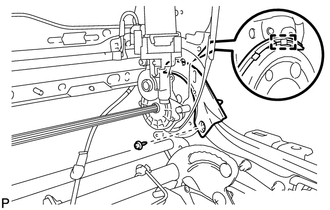 (b) Engage the hook as shown in the illustration. 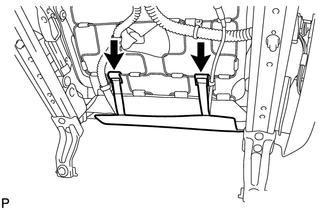 (c) Install the front seat lower cushion shield LH with the screw. 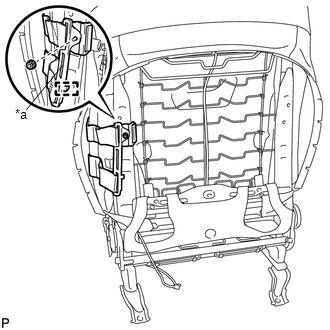 (c) Install the front seat lower cushion shield RH with the screw. 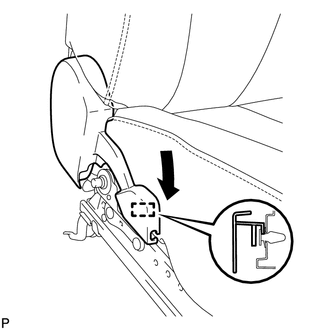 (b) Install the reclining adjuster inside cover LH with the screw. 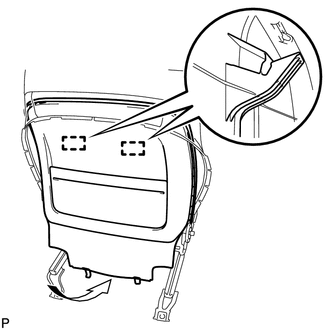 (c) Install the seat reclining adjuster inside cover LH with the 2 screws. 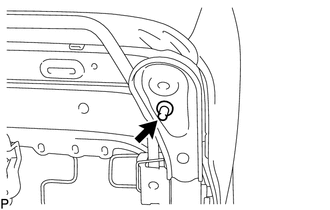 (b) Install the reclining adjuster inside cover RH with the screw. 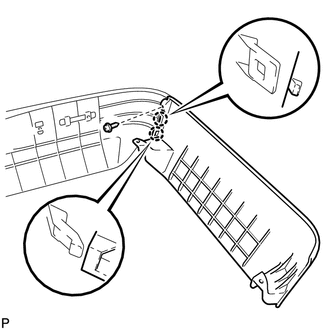 (c) Install the seat reclining adjuster inside cover RH with the 2 screws. 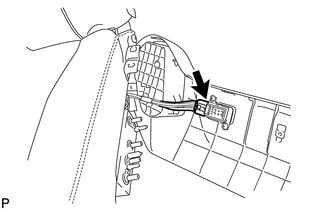 (b) Connect the cable to the upper active headrest unit with the nut. 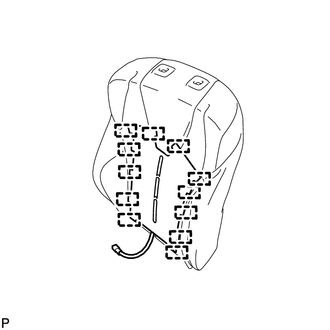 (c) Install the lumbar support adjuster assembly with the 2 screws. 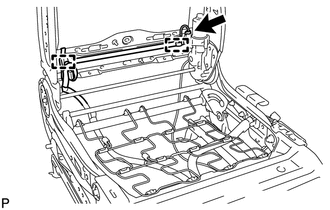 (e) Engage the 10 guides and install the front seatback spring sub-assembly. 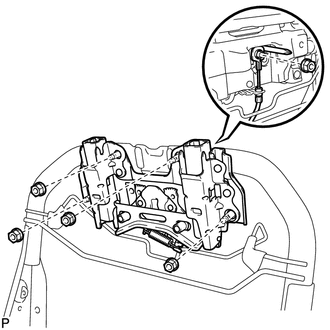 (f) Install a new clamp. 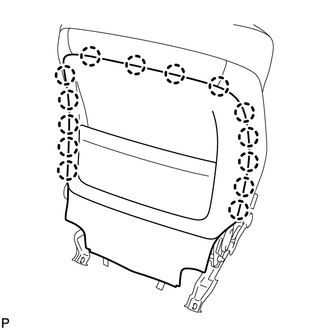 (a) Using a tacker, install the front seatback heater assembly to the end of the separate type front seatback cover with 12 new tack pins. 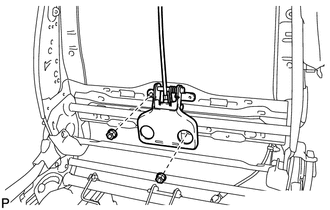 (b) Engage the 4 claws and install the 2 front seat headrest supports. 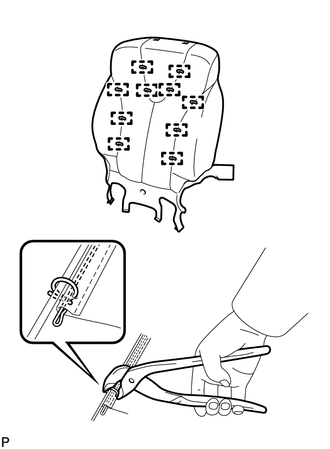 (a) Using a tacker, install the front seat cushion heater assembly to the end of the separate type front seat cushion cover with 25 new tack pins. 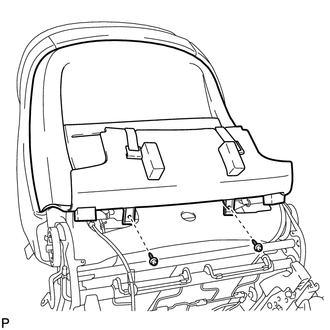 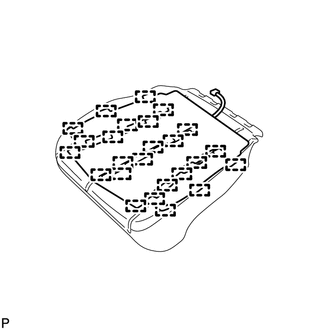 (a) Install the front seat cushion protector to the separate type front seat cushion cover with 2 new clips as shown in the illustration. 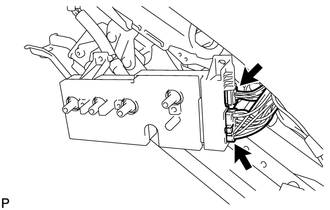 The clips must not be reused. 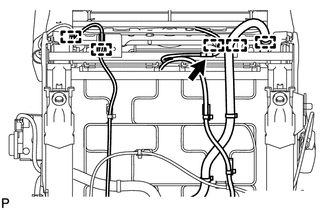 Pay attention to the installation direction. 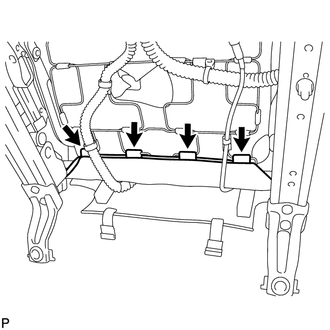 (f) Engage the 4 hooks and install the separate type front seat cushion cover with pad. 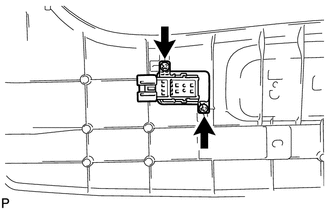 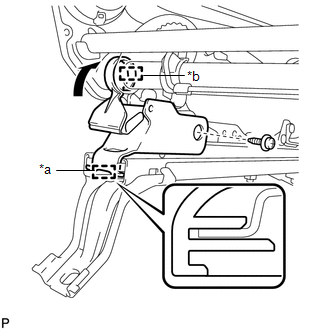 (a) Engage the guide as shown in the illustration. 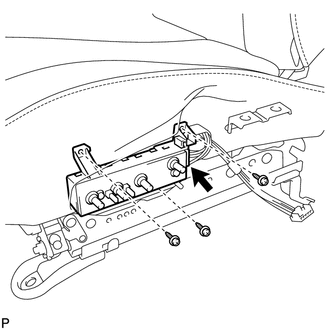 (b) Install the power seat switch with the 3 screws. 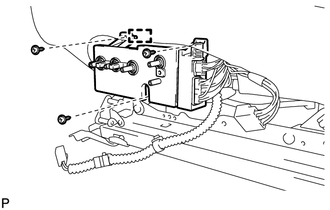 (c) Install the position control ECU and switch assembly with the 3 screws. 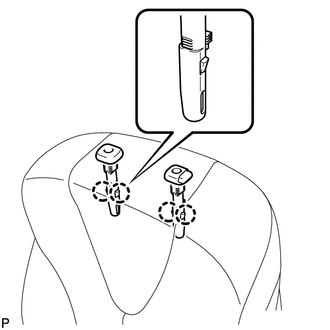 (a) Install the front power seat lumbar switch with the 2 screws. 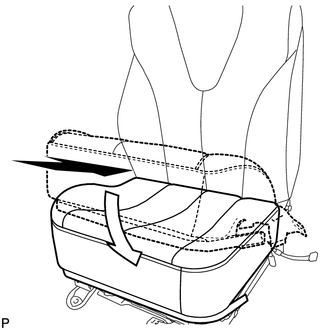 (a) Engage the 2 claws to install the front inner No. 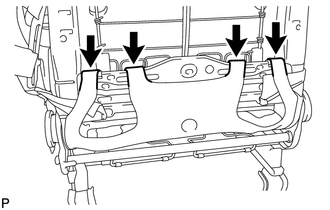 1 seat cushion shield to the front seat cushion shield. 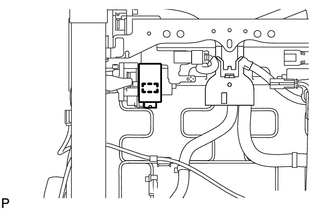 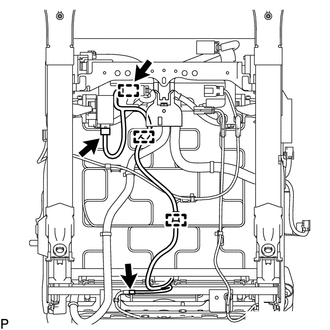 (a) Connect the connector to the front power seat lumbar switch. 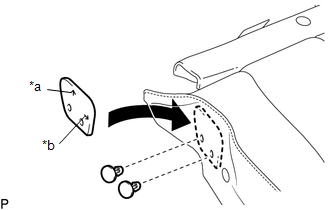 (b) Engage the guide and claw. 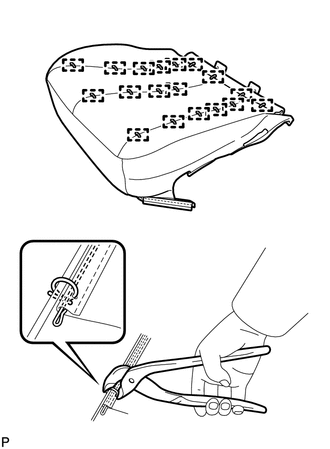 (c) Install the front seat cushion shield assembly with the 5 screws. 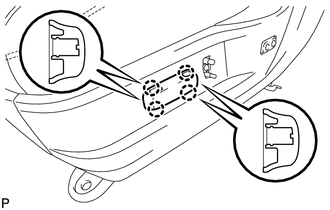 (d) Engage the 2 hooks. 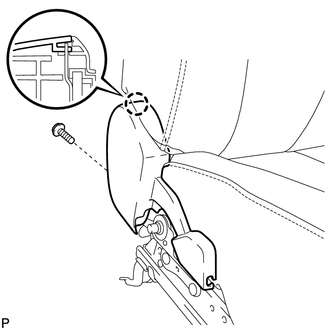 (a) Engage the 4 claws to install the slide and vertical power seat switch knob. 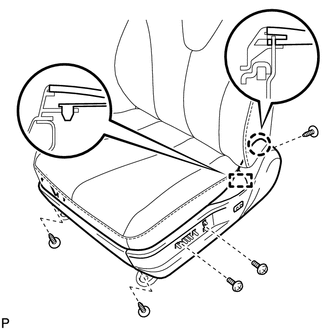 (a) Engage the 4 claws to install the reclining power seat switch knob.